This year I have been lucky enough to have Forage items on display in Bluebird Vintage, a great shop in Boonton, NJ. 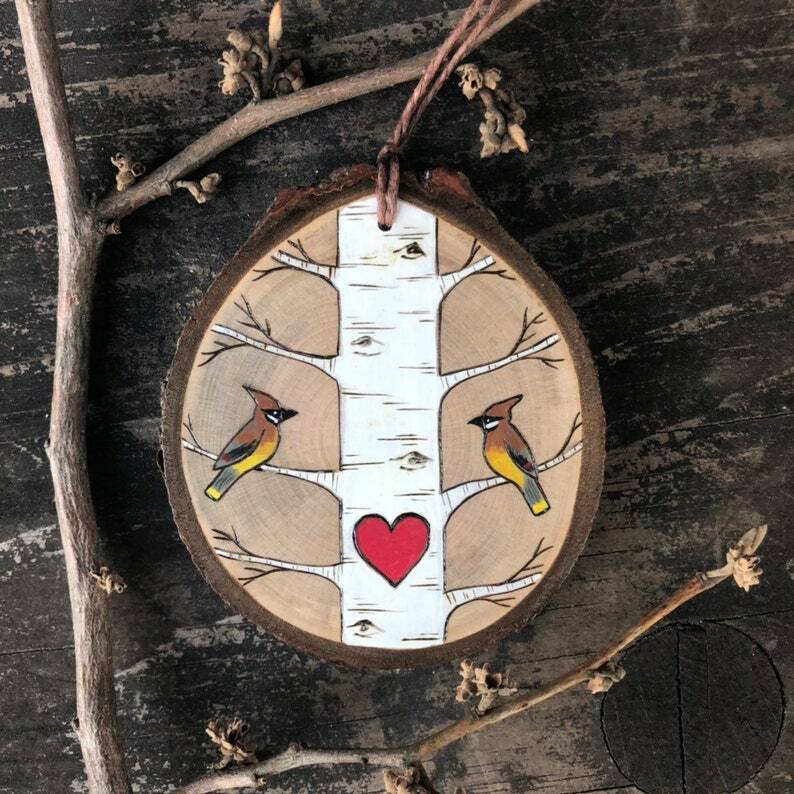 Not only is it a great place for locals to become familiar and browse some of my items but it is also a super place for them to pick up their custom orders! When I drop off their bags of goodies, I of course have to label them so that we know which bag belongs to which person. I’m always trying to use recycled materials for my packaging, but sometimes, well it just isn’t pretty. For my bag labels, I came up with a cute, easy and eco friendly way to do so. I cut up the back page of old calendars. (you know the page that shows you the tiny version of all the pretty photos or illustrations that will be featured every month?) They make the prefect size gift tag! I thought I’d pass on this fun idea for you to try with your own gifts. 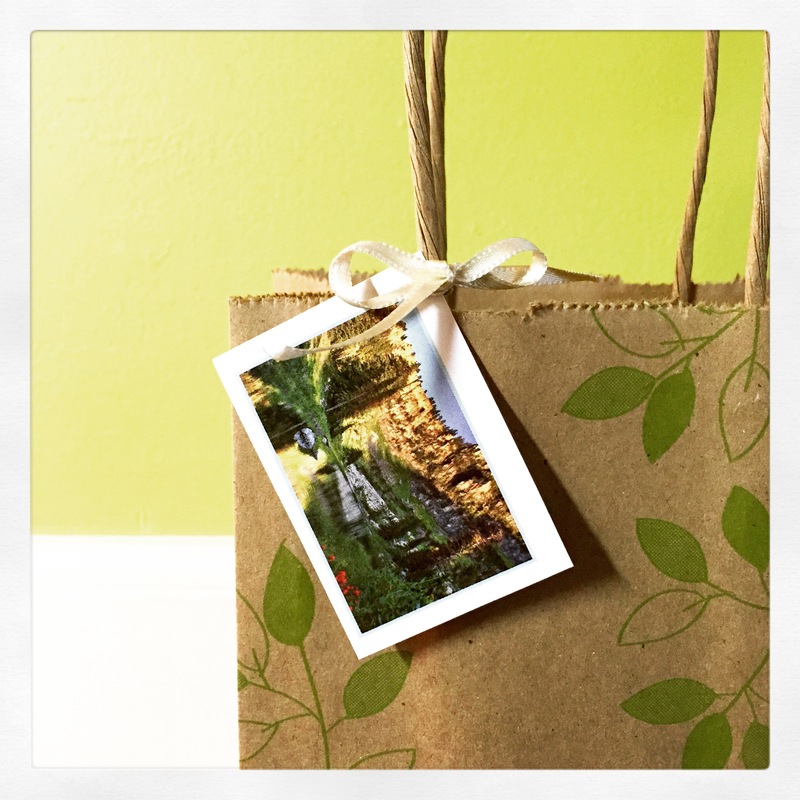 So before you recycle that old calendar, save the last page for your gift tags! Or better yet, if your package is small enough, use the corresponding calendar page for your wrapping paper! They are can be recycled after (re)use!